Some days you just want to wear black and this one was of them so my new H&M jumper was perfect. 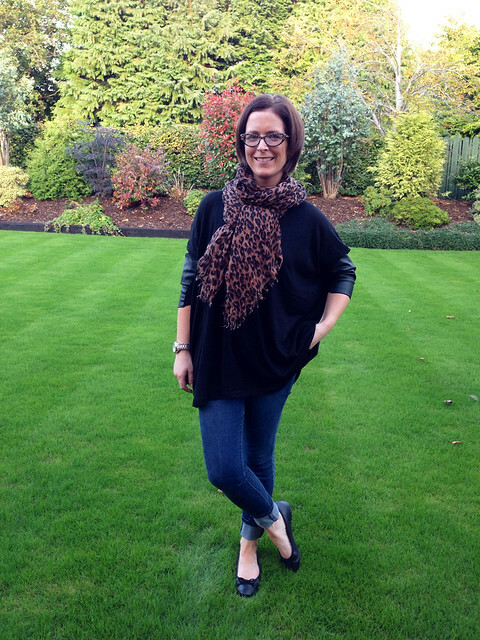 I was wearing my favourite leopard specs so it seemed right to add a leopard scarf to tie it all together nicely. I love these in-between season days where you can add bits of your autumn/winter wardrobe but it's still warm enough for pumps. I spent the day in the car (or so it seemed) running from the school drop off to appointments to school pick ups and onwards to a drama run and finally a Gospel Choir concert so I didn't bother with a handbag all day. I picked up this gently loved Clarks wallet from a Facebook friend who hadn't really used it and it's perfect as it's big enough to store my phone and lippy in....a bit like a mini clutch! 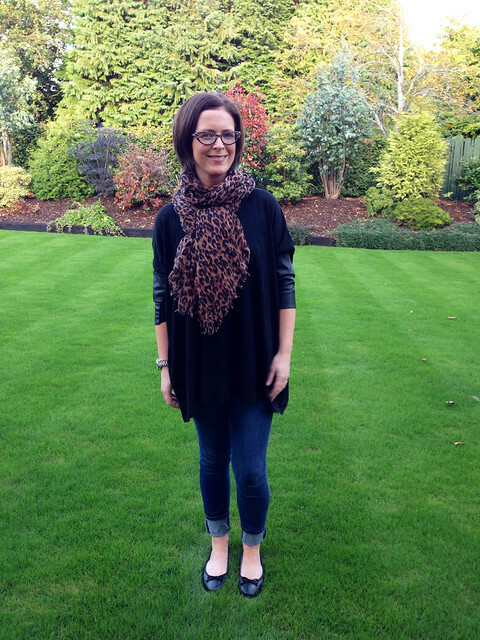 The best bit is that it's leopard too...I love to be co-ordinated! Loads to share over the weekend, including the winners of the Kingsmill bread prizes.....I'm off to pick them now so will be back soon with the announcement! 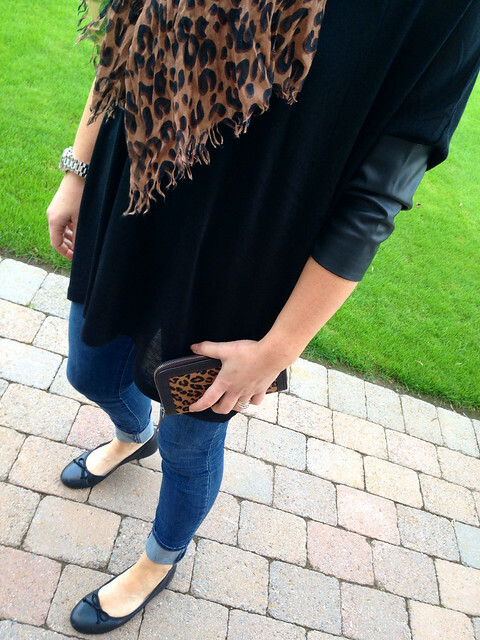 I love how a leopard scarf can lift a simple outfit - you look great! Oh I love the jumper, great sleeves! I'm not usually convinced by leopard print but you look fab in it.